There is so much going on in Wales every month! Here is just a small selection of events for everyone throughout the month. Description? 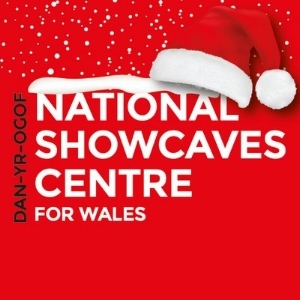 Make your visit to see Santa a little different this year, and head to the Dan-yr-Ogof Cave Christmas Experience in Swansea. This special Santa's grotto will feature fantastic Christmas displays and decorations, which the kids will love to see. As well as seeing Santa, families can take a ride on the land train to visit all the animals on the farm. Description? The biggest race-day in Wales will return to Chepstow Racecourse on Thursday 27th December. As well as 7 thrilling jump races on the card, including the biggest race in Wales, the day will be packed with Welsh themed entertainment for the entire family including singing from Chepstow Musical Youth Theatre, The Bridgend Male Voice Choir, a performance from jazz band The Hipcats in our more relaxed Wye Valley marquee, roaming Welsh lady stilt walkers and more, you may even get to see a dragon! Description? Ten years ago, Only Men Aloud became the Last Choir Standing, winning the BBC1 primetime show and become Britain’s favourite choir. To celebrate this anniversary, Only Men Aloud are heading back out on tour to celebrate the last ten years. Only Men Aloud have asked their very loyal fan group what their favourite songs have been from over the past ten years, and many of these will feature in the Decade Tour. This is the last date on the tour so not to be missed! Description? Sir Peter Bazalgette, the Chair of ITV plc will be joining Cardiff Business Club for their last event of the year. Description? Packed with all of the traditional pantomime ingredients audiences expect, Cinderella features laugh out loud comedy, stunning scenery, beautiful costumes and plenty of boos and hisses. Join Cinders as she goes from rags to riches, outwits her very ugly sisters and meets her dashing Prince Charming. Description? Throughout the Christmas season, there a number of swims taking place across Wales. Question is, are you brave enough to take on the brisk Welsh waters this winter? 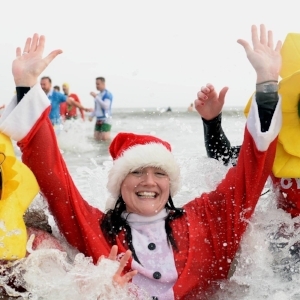 Whether it's on Christmas Day, Boxing Day or New Year's Day, a seasonal dip is a great way to raise money for charity and have fun with family and friends.